I always stress the importance of investing in quality over quantity. Luxury items are definitely an investment and something you can wear for years. For example, I’ve been wearing my big LV purse for over 6 years now and I take it everywhere even when I travel. The quality is still very nice. If you take the amount spent over the course of 6 years annually it’s not that expensive, and if I ever want to resell it in the future it holds it value well. With that being said, I’m outlining ways you can buy, sell, and rent high end designer luxury items at a discount in Paris. I’m excited to share with you a new website I recently discovered called InstantLuxe by Galeries Lafayette that allows you to buy, resell, and rent luxury items. They have thousands of items for sale on the website handbags starting at 50 Euros for a Fendi bag and I even saw a Hermes Kelley bag for under 3,000 Euros. Plus, new products are being added daily so make sure to check the site frequently. What I love about InstantLuxe is it tells you the condition that the item is in. Not only does the site have handbags, it carries jewelry, watches and accessories such as scarves, and belts. Plus, if you’re worried about the item being authentic, no need, they have a team on staff that authenticates every item. 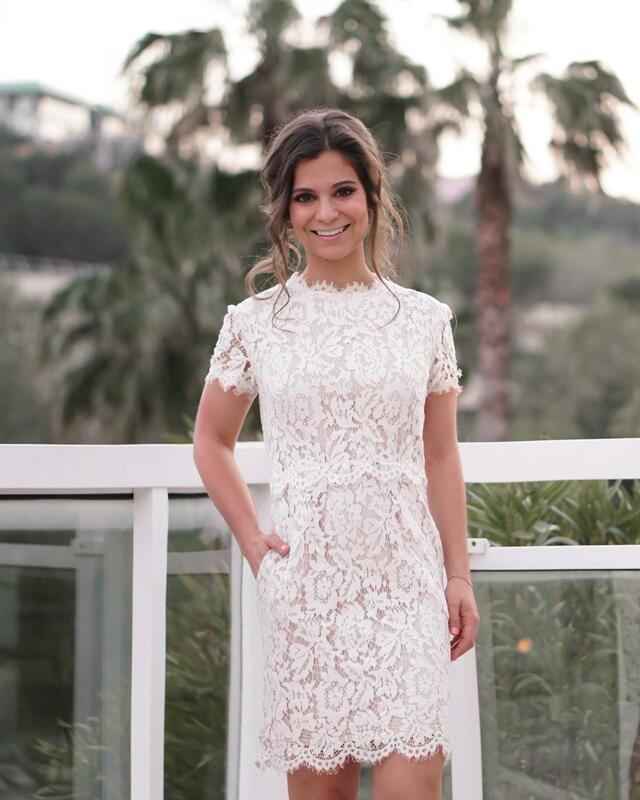 InstantLuxe will handle all your needs when it comes to selling your luxury item, from professional photos and editorials, answering Q&As, price recommendations, get your item featured, and you’ll have your own dedicated customer service. The commission for premium service is 35%. 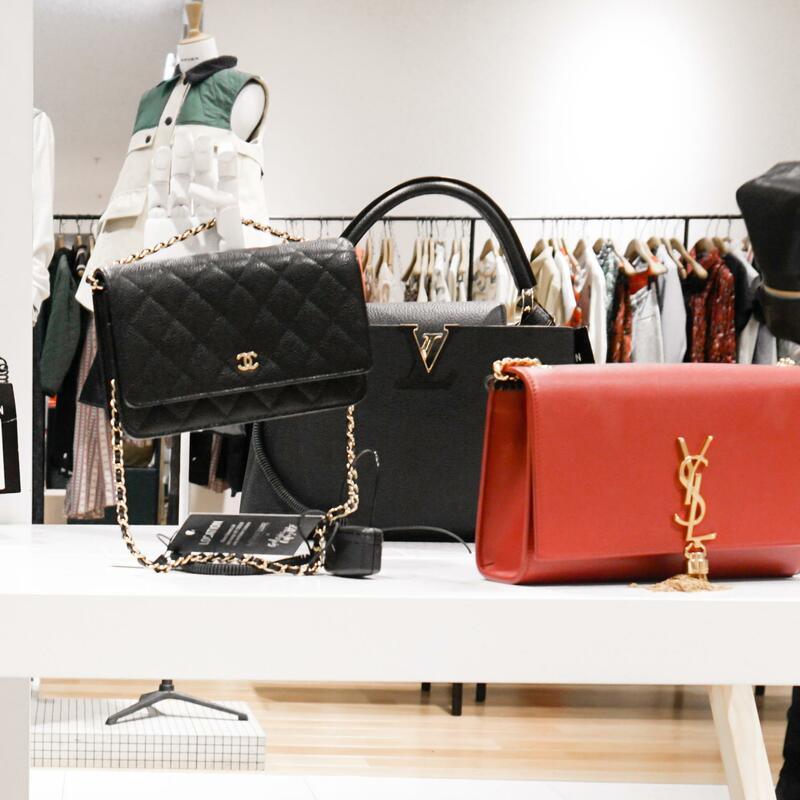 Finally, you have the option to rent designer bags. You can rent it for one day or multiple days. The price varies based upon product. (This is for French residents only). 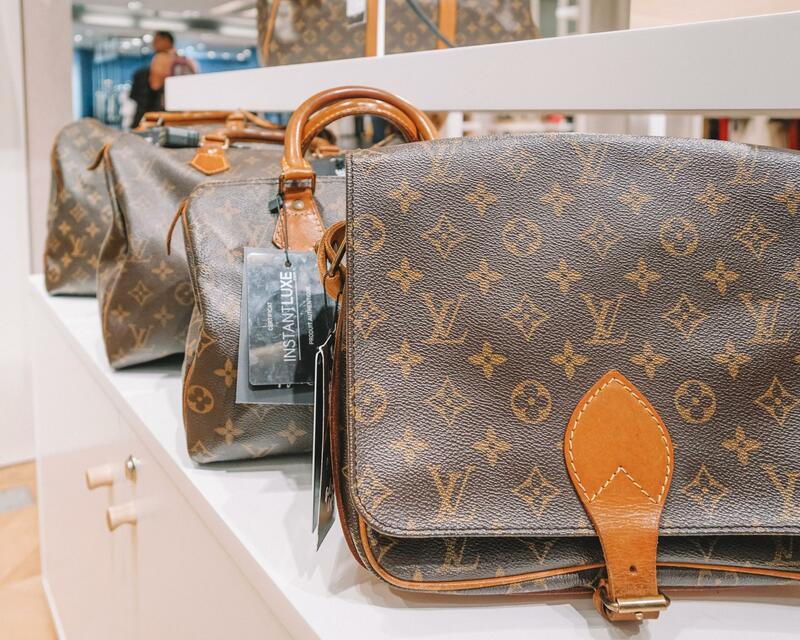 To rent the luxury items, head over to Galeries Lafayette to see what is available to rent in store. Also, you can rent directly from the website. 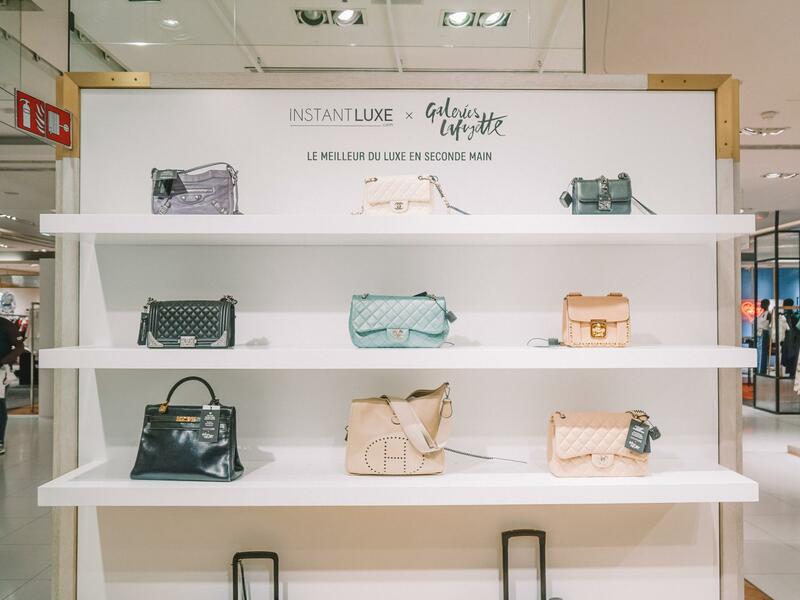 Galeries Lafayette has a pop-up InstantLuxe store where you can see the products first hand. Head up to the second floor to discover all the gorgeous luxury items. 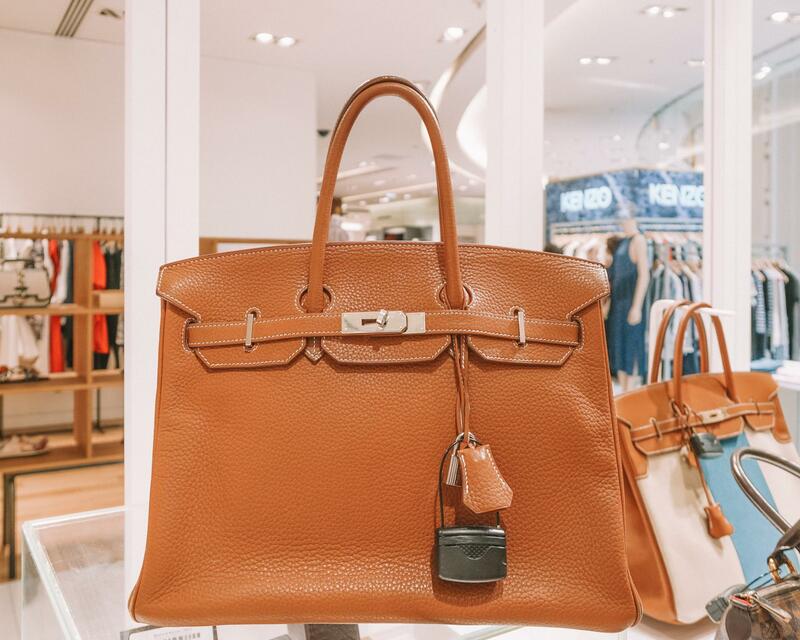 They even have a Hermes Birkin 35 on display, aka my dream bag! If you are looking for a luxury dress to match your handbag / accessory from InstantLuxe head over to Panoply City to rent designer dresses or outfits! A little side note before I sign off for the day, I signed up for their newsletter and they are constantly having sales or special discounts, so I highly recommend you sign up! In additional, Galeries Lafayette has special in store discounts! Wow these are great tips! Thank you so much for sharing!